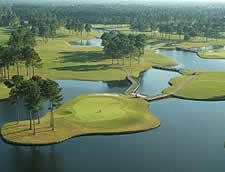 Planning your golf vacation is a whole lot easier with the use of our Grand Strand Golf Course Directory. Here you’ll see photos, get descriptions, course and slope ratings, price and the ability to book your tee time on Myrtle Beach golf courses. At MBGolf.com we have the best selection of golf packages available in the area to offer you and always at the best rates available. We even guarantee that!